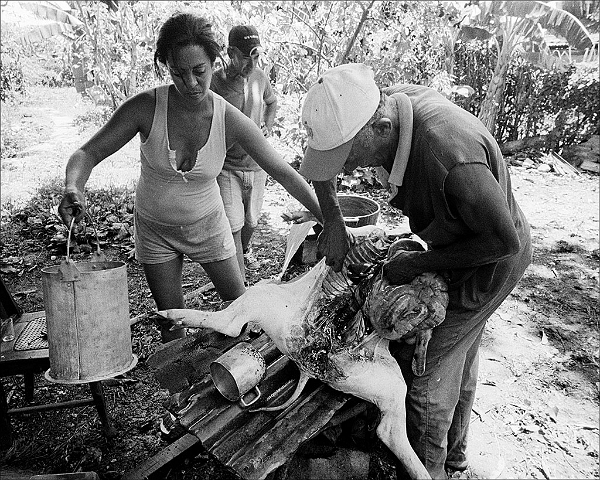 Butchering a pig in Guaro. The pig costs the equivalent of $35 and was delivered on a lead rope an hour earlier. Every piece and part became food. The head was split in two and used to make caldoza, or community soup, in a large pot over an open fire at an extended family party that night.